The IPO and M&A specialist firm will help increase awareness around the apparel company in the financial community. 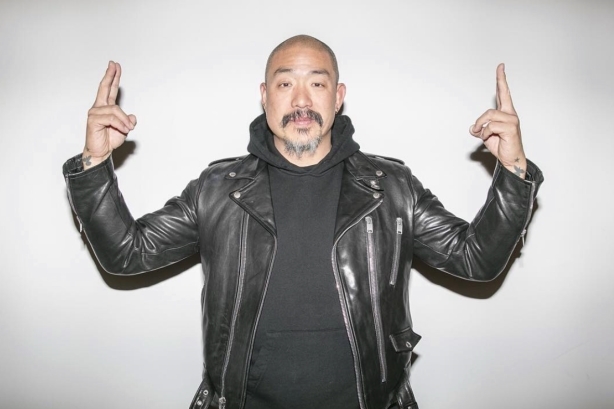 CEO Peter Kim founded Hudson Jeans in 2002. Image taken from Hudson Jeans' Facebook page. LOS ANGELES: ICR has been retained by Differential Brands Group as its IR and PR firm. A statement said the apparel company brought on ICR to help bolster its strategic financial communications. ICR is known for crossing its Wall Street expertise with traditional comms — a facet of the firm Differential CEO Michael Buckley focused on in a statement. ICR has also handled hundreds of IPOs and M&A transactions for its clients. "ICR’s extensive experience and insight in retail and consumer, as well as its strong relationships with Wall Street and business and financial media, will be incredibly beneficial as we enhance our investor relations strategy and build greater awareness among the financial community," Buckley said. Differential was formed as a result of a merger between Hudson Jeans and Robert Graham that was officially announced in September 2015 and finalized at the end of January 2016. Hudson split from Joe’s Jeans after being acquired in a $98 million deal in 2013 and announced last year it would merge with Robert Graham for $13 million. Joe’s placed itself under considerable strain following the Hudson deal, and was later acquired by Sequential Brands Group for $67 million. Andrew Berg, former SVP of menswear at Theory, was recently named president of Robert Graham in April. Differential reported consolidated net sales totaling $32.4 million for its Q2 earnings compared to the $16.3 million Hudson and Robert Graham reported during the same period last year. Buckley had been CEO of Robert Graham since 2011. He previously worked at a public company in his time as president of True Religion Apparel, and also worked at Diesel and Ben Sherman. CEO Tom Ryan said ICR's rebrand in 2015 clarified its offering via a redesigned website, new logo, tagline, and "overarching visual identity." In 2015, ICR reported a 9% bump in revenue, to $56.2 million, 70% of which came from new client wins, in spite of a tough business environment in Q4, when "the IPO window closed, the stock market rolled over in a high-profile way, and people became more budget-mindful," Ryan noted in PRWeek's Agency Business Report 2016. Last year, the firm also launched ICR Capital, a subsidiary providing capital markets services that aid financial sponsors and issuers to succeed in key transaction objectives. Led by MDs David Galper and Evelyn Infurna, the subsidiary offers independent counsel and deal oversight for IPOs, follow-on offerings, M&As, and capital sourcing.